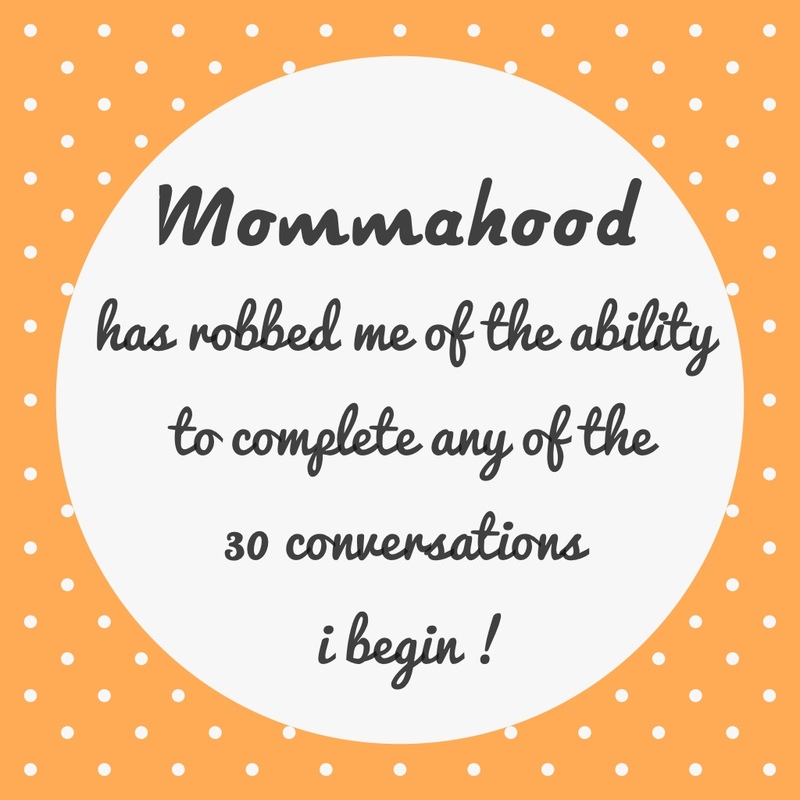 anyone else out there find themselves starting so many conversations when out with their momma friends and hardly ever finishing any of them ! and good luck even getting the first full sentence out if the kiddos are around ! share if you can relate !